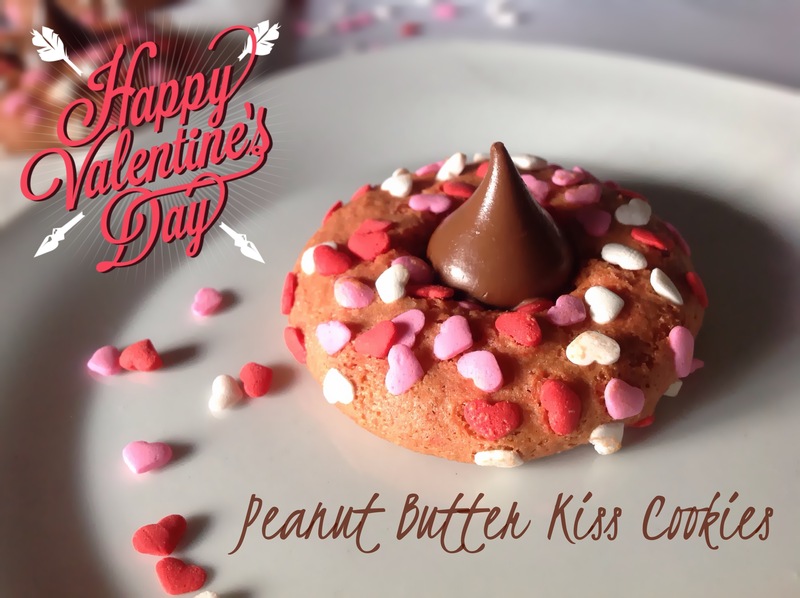 Why not make some simple Peanut Butter Hershey Kiss cookies for your loved one? I have followed the recipe (halved) from the Hershey site itself which includes the gluten free version too! I did try to tint them too, hence the pinkish hue. Instead of rolling in granulated sugar, I rolled them in Heart Sprinkles, specially for Valentines! As usual, please do make sure that both the peanut butter you use as well as the sprinkles are in fact gluten free! Heat oven to 150C. Remove wrappers from chocolates. Beat peanut butter, granulated sugar, brown sugar, vanilla, baking soda and salt in a mixing bowl. Add only half of the beaten egg and combine well. Shape dough into 18 equal balls (about 1 inch). Roll in granulated sugar or the heart sprinkles and place on a lined cookie sheet. Bake 8 to 10 minutes or until lightly browned. Immediately press a chocolate Kiss gently into center of each cookie. Remove from cookie sheet to wire rack. Cool completely.